In El Visor – Espai Fotogràfic we believe that illusions and oportunities must be for everybody and the worst failure is not trying to make real your dreams. Because of this we have decided to help the beginners by offering special discounts for students so future photographers can find a place to carry out their own projects. 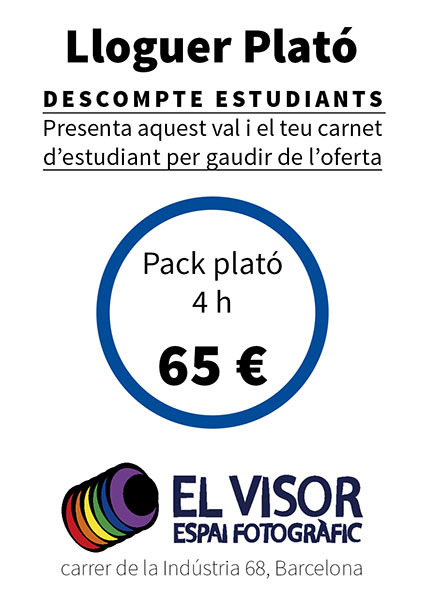 If you are a registered student please print this voucher and present it to us with your student ID, and you will have an interesting discount in the set rental rates (only valid from Monday to Friday).